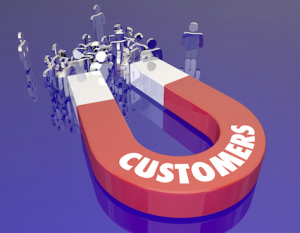 Are you struggling to generate enough new customers and clients? Are you finding it difficult to differentiate yourself from the competition...being forced into bottom-rung commodity based pricing? What if you could consistently attract your ideal, high-end clients who were happy to work with you, gave you glowing reviews, and recommended you to their friends and family? If you’re like most small business owners...you’re getting an almost endless number of calls from marketing companies promising to get traffic to your website and customers in your door. But the truth is that most of these companies require long-term contracts you can’t escape...avoid giving you any way to truly ‘test’ their results...and assign your account to low-paid employees who plug you into a generic one-size-fits-all marketing template. Your business is unique. And the marketing blueprint that attracts your ideal client will be specific for you and your location. In today’s competitive, fast-moving world, you can’t afford to rely on the same ‘generic’ template the business next door is using. How can you stand out as different and the only obvious choice to your ideal customer or client if your marketing company is using the exact same plan for you AND your competition? You need a plan that fits today’s fast-moving market environment...not something that was developed to attract customers 10 years, 5 years, or even a year ago. You need someone that digs deep into your business. Someone who can identify how you are unique and how to clearly demonstrate this to your ideal customers for a constant flow of top dollar sales, high quality clients and maximum ROI. 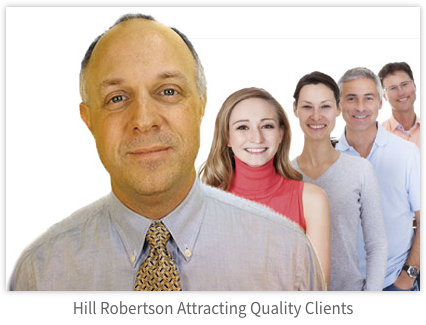 I’m Hill Robertson and I’ve been seeing amazing results with businesses for years. 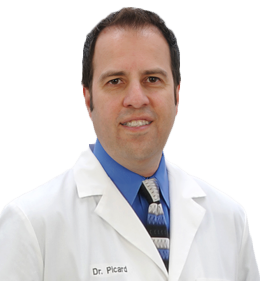 My primary niche has been helping chiropractors and other doctors increase the number of new patients coming through their door every month. Before my clients came to me, they had often tried every marketing “trick” under the sun and jumped from the latest marketing craze to the next… Only to end up with little to no results and stuck in an expensive long term contract they couldn’t wait to get out of. I absolutely love watching my clients’ lives change when their business grows and increases profits… Allowing them to spend more time with their kids, take more vacations, and live the lifestyle they always dreamed about when they first started their business. It doesn’t matter whether your company sells a product or service. The unique marketing strategies that have consistently generated such an incredible ROI for my other clients can and will work for you. I’ll put together a unique and efficient marketing message for your business that’s designed to attract your ideal clients even on a limited budget. First I analyze everything you’re currently doing… Your website, TV/Radio spots, YouTube Videos, Facebook Ads, Landing Pages, Direct Mail Copy, Flyer Promotions, and any other marketing materials you use. I’ll study it with a fine tooth comb and then give you a detailed report that covers everything… and I do mean EVERYTHING that can be modified, added, and improved to boost leads, increase sales, and maximize profits. I’ll then put together a new custom marketing plan designed to transform your business into a client generating and profit pulling machine! Our return on investment far exceeds anything we’ve ever done! It works is all I can say. 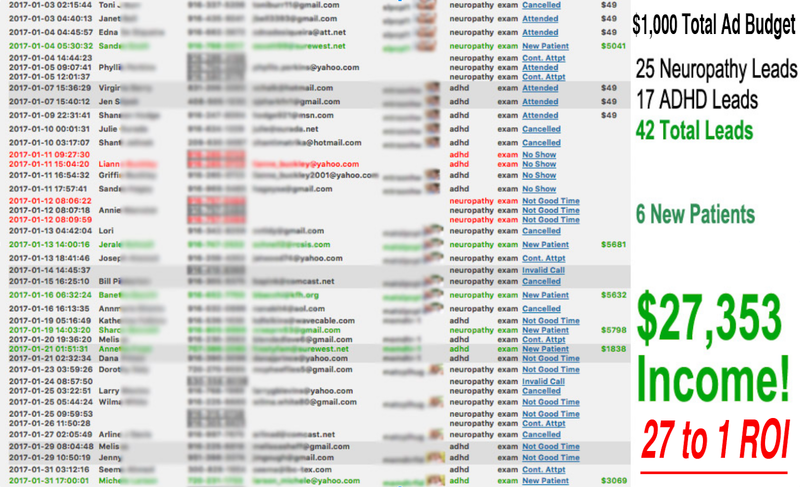 It absolutely works… We’re booked for the next 2 to 3 weeks now… You can sleep at night. You’re not worried about making bank. It’s fully changed my life! Phenomenal turnout!! Your targeting of prospects is dead-on! I am astounded at the results! It pulled in much better quality prospects and a higher number of people showed up… Even during the Christmas holiday season I was astounded at how many prospects were responding… $228 pulled in around 30 highly qualified prospects and we have 14 appointments on the books… It’s the most cost effective thing that I’ve done since the early 80s… Very profitable and a very cost effective method of advertising…Thanks again Hill! In one month, with a $1000 total ad budget, I generated 42 leads for this client... resulting in 6 new high quality patients worth $27,353 in income. That’s a whopping 27 to 1 return on investment! Obviously I can’t promise these exact same results to you. But what I can promise is I’ll use all of my marketing experience to design a detailed plan that’s guaranteed to turn things around and skyrocket your profits. First, you’ll receive a 1 hour consultation where we’ll discuss your goals, review what’s currently working, what’s not working, and what you can do differently immediately to boost your returns. 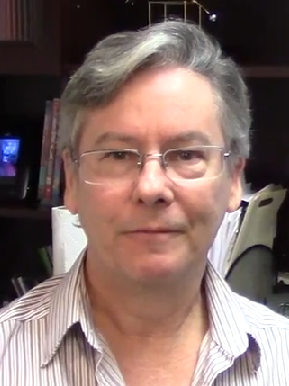 Then I’ll retreat to my lab where I’ll do an Intensive Marketing Review that includes all your marketing materials, ad campaigns, websites, landing pages, lead generation processes, contact/follow up procedures, etc. You’ll receive specific recommendations of what changes should to be made and how proven new processes can be implemented to increase leads, improve conversions, and maximize profits. You’ll receive my Total Marketing Makeover Blueprint - This is a detailed marketing blueprint for the next 30 to 90 days of exactly what you and your team can do to maximize the number of new leads, convert more of them into sales, and generate more profits. Implementation Consultation and Plan - Then we’ll meet together to go over your review and detailed blueprint to discuss how you and your team can best implement these strategies for maximum return on investment. I’m not going to “sugar coat” my deep-dive analysis… It’s about getting you the results you want… and I only work with business owners who are serious about using marketing techniques that really work in today’s market environment. 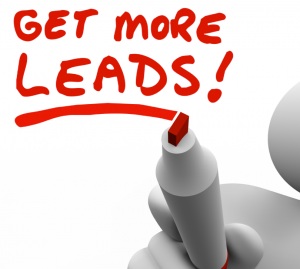 Imagine attracting a horde of high quality new leads, customers, and clients. While at the same time reducing your overall marketing costs. Normally you would expect to pay several thousand dollars for a deep-dive like this, but I've specifically only shared this page with business owners I've personally connected with (you either received the link directly from me or you were referred over here). Because of that, the complete Total Marketing Makeover service is only $1,000. And I'm going to sweeten the pot even more for the first 5 clients who sign up for this incredible offer. If you're one of the first five, you can get the complete Total Marketing Makeover for just $700. Click the button below. If the price still shows $700, then take advantage of it while it lasts. But even if you miss out on the $700 deal, you can still grab it for $1,000 for as long as this page is available. It's time to generate more leads, convert more clients, and close more sales.. If for any reason either of us decides this isn’t right for you or your business…all you have to do is let me know before the end of that first consultation…and I’ll give you a full refund. No questions asked. But remember, I reserve the same right as well. If I sense on the call that you’re not likely to implement these suggestions, I can cancel the call and give you a full refund on the spot.